Derek and Lisa Deakins are no strangers to the bluegrass and country music world. After touring with major recording artists including Blake Shelton, Pam Tillis, The Osborne Brothers, and Whisperin' Bill Anderson, and appearing countless times on the Grand Ole Opry stage and other national venues, Sawtooth Ridge formed their own unique sound and now delight audiences across the Lowcountry with their smooth blend of vocal harmonies, polished instrumentation, and exceptional musical arrangements. Sawtooth Ridge performs in a variety of settings, including weddings, wedding cocktail hours and receptions, farmer's markets, birthday parties, reunions, barbecues, corporate events, and many other occasions! 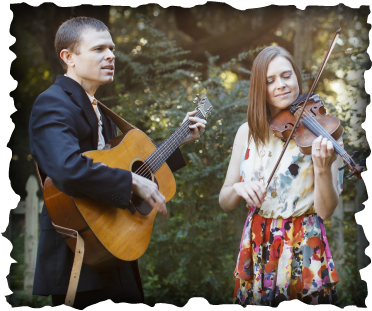 Depending on the size of your function, Derek and Lisa perform with up to 5 members in a traditional bluegrass band setting, including banjo, mandolin, bass, guitar, and fiddle. If you would like to have Sawtooth Ridge at your next event, contact Lisa and she will be happy to talk with you!